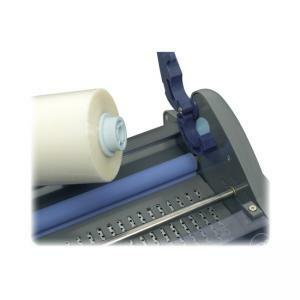 Laminator roll film provides a superior lamination experience using a premium, crystal-clear NAP laminating material. Color-coded and size-specific loading cores eliminate loading roll film upside down. Using Ultima 35s patented EZload technology, it is virtually impossible to load the roll film backwards, eliminating costly service calls and downtime.